People followed orders to evacuate and to head for higher grounds, but what is it like to be here worried about what's happening down there. "It's pretty nerve-racking. 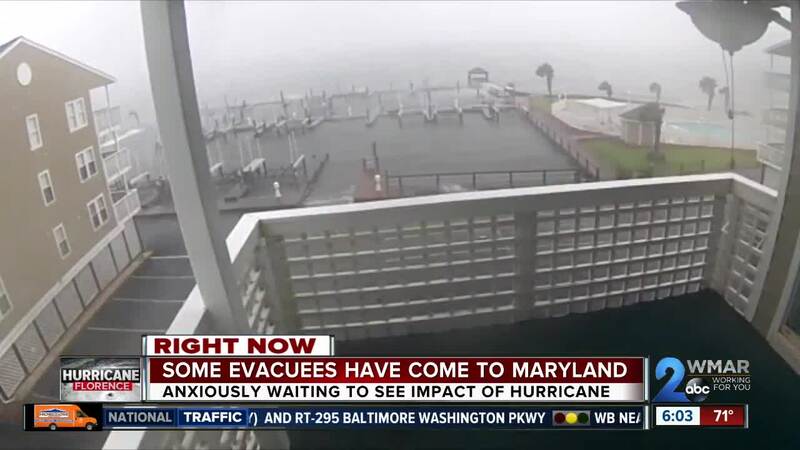 We watched it impact the coast all day and it's been taking a toll on our property as well as the whole area in general," Maryland resident, David Inch, told WMAR-2 News. 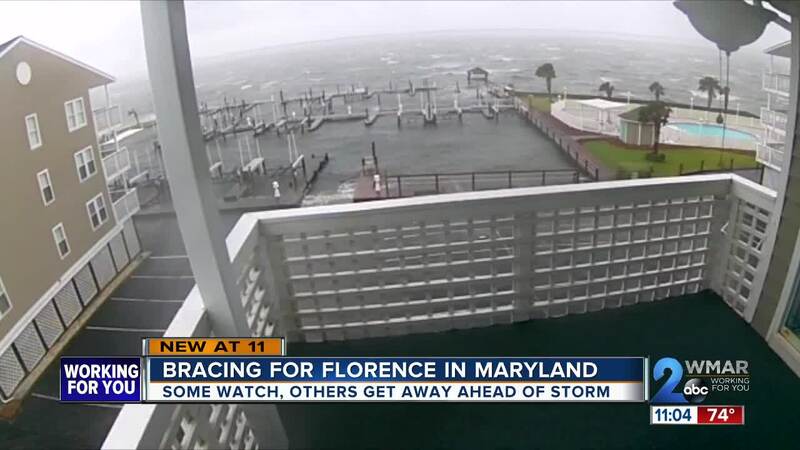 Inch loves his vacation home on the Outer Banks of North Carolina; he showed WMAR-2 News the feed he watched all day Thursday as Florence inched closer. "We've got a webcam on our deck and that shines down to the pool and marina area so for most of the day I've been able to keep an eye on the progress the storm has been making," said Inch. His cameras are now out; likely due to a power outage. He's now worried about what the storm will leave behind. "I said more than once today that I wish I couldn't see it. They're talking anywhere between a 9 and 13-foot surge were up on the second floor but it will really change the topography of the area completely." Inch told WMAR-2 News. There's also the people who escaped the Carolinas to Baltimore hoping to beat Florence. "It's supposed to be one of the most serious storms the coast there in Carolina has ever had we were debating whether or not we should evacuate, you know, weighing the pros and cons," South Carolina resident, Hyder Kadhim, said. Kadhim brought his mother, girlfriend and dog up north to ride the storm out away from the pounding wind and rain. "From everything we heard, it's supposed to be pretty devastating so just airing on the side of caution and getting out when we could." Although Kadhim is bunking with his brother in a one bedroom apartment he and his family, now safe, wouldn't have it any other way. "Better safe than sorry, absolutely!"